We found this little gem by accident but so glad that we did! After a 30 minute drive from the Airport following the simple directions that Maureen the owner sent to us, we arrived at our charming accommodation and were greeted by our host and her two lovely, friendly boxer dogs, Bobby and Rosie. Maureen is the true professional and leaves her guests to do their own thing yet is always at hand with a friendly smile if there is a need for assistance. The amenities at Casa Limones are perfectly adequate with a great shower, large Fridge Freezer, very comfy bed and views to match that of any high-end Hotel but with the added bonus of no loud families, lovely silent evenings and the freedom to come and go as one pleases. The perfect place to re-charge the batteries. It is located just 15 minutes drive from the charming sea side town of La Cala with its great restaurants and charming shops. Fuengirola is only another 15 minutes drive away with Marbella the next large town along the coast line. Mijas is also a must see town nestled in the Spanish hill side and again, just a 10 minute drive away. Within a couple of days we had a great routine worked out and settled into our wonderful, peaceful, Holiday. Short simple drives to great towns and villages then back to our gorgeous little bolt hole for a glass of wine on the terrace to watch the sun go down.... Perfect!...Just Perfect!! We stayed in one of the two one bedroom villas at this peaceful venue. Our villa was well equipped and gave us three different areas to sit outside to eat or enjoy the stunning views and spectacular night sky. The shared pool area was beautifully landscaped giving privacy to each couple. While there we took advantage of the proximity to Malaga, Marbella and Fuengirola all of which are well worth visiting. Maureen was a lovely friendly host who gave us the space and peace we were looking for. What a wonderful relaxing peaceful place for a holiday. The accommodation is delightful, and the host was extremely helpful. We’ll definitely be returning. Great few days with a friend in this lovely cottage with stunning views. Great pool just shared with two other people and three terraces. Easy to get to and to travel to other places. We cooked outside on electric grill most nights. Maureen was very helpful and hospitable. The pool is wonderful, the views over the hills stunning and the cottage a cool retreat from the heat. Maureen is an excellent host and we would highly recommend spending as much time as possible enjoying this rustic home from home. We returned yesterday from the most relaxing time spent at Casa Limones. A great hideaway in the Andalusian countryside with stunning views.....Simply beautiful. The pool, the views, the weather all made it very difficult to leave to explore the area but when we did we found some lovely places to visit and enjoyed some great food. Highly recommend Casa Limones for a peaceful, truly relaxing stay. I spotted these cottages on the Sawdays website, and we had Los Olivos for a week, and Casa Limones for the second! Maureen was very helpful with queries. Both cottages have pros and cons. Los Olivos with its fire would be lovely for the winter months, and it has great sweeping views. If you are a swimmer being next to the pool is great though! We had it all to ourselves the second week as the other couple were not swimmers methinks. I fell in love with Bobby the boxer, sob. The cats are very interesting too. A great place to recharge the batteries and unwind. We don't often go back to the same place, but we may do - perhaps for a Spring break. A great choice! We have just arrived back to the UK from Casa Limones! What a great little find, absolutely beautiful and the views are amazing. Maureen was an excellent host, so friendly and helpful. The cottage is kitted out with everything you will need, including refreshments for when you first arrive, which I thought was a lovely touch. The beach is only about a 10/15 minute drive away, as is the main town/restaurants. All in all a great holiday and would definitely recommend! We had a wonderful week at this lovely place. The cottage was very comfortable, the views are outstanding and it was a real home from home for us.We’d never been to Spain before but will definitely be back to Casa Limones! "Great to escape the British weather in the middle of March! Wonderful location and special views with easy access to surrounding towns and great beaches. Maureen is very helpful if required and there is everything on hand at the cottage for every eventuality, really peaceful for a relaxing break, great value for money. Highly recommend, we also had fab weather, want to return for those hot balmy evenings and sunsets that we've yet to experience here." "We had a very happy eight days at Casa Limones. Highlights were the Andalucian sun warming the terrace where we ate our meals, the sparkling pool, the views across the rugged hills and the distant sea, and the privacy. This property is ideal for a couple wanting time together, just to read and relax. We loved the silence, broken only by the breeze and the birdsong. Maureen is an ideal host, warm and friendly but never intrusive (she lives next door). Her two dogs and two cats like to meet the guests and we soon got used to them. In short, idyllic." "A truly great little ﬁnd which had everything we needed, in a stunning location. Comfortable, welcoming and characterful. 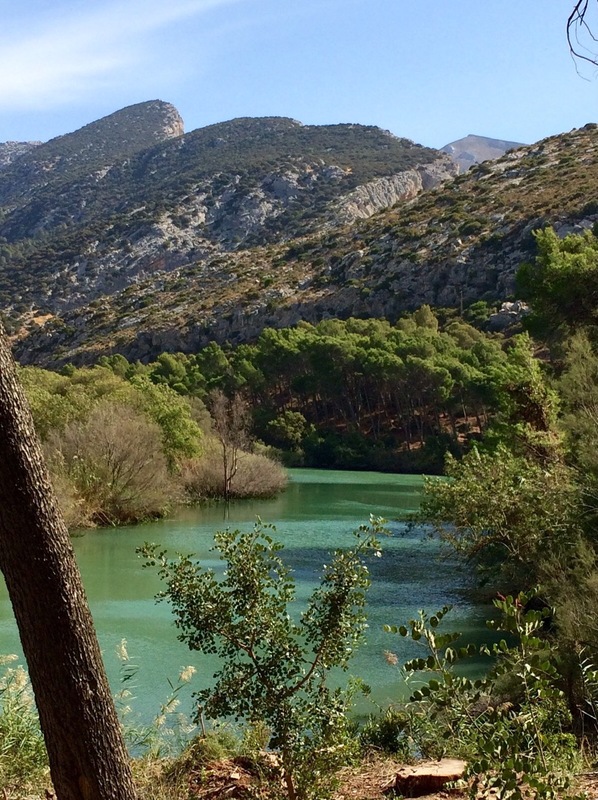 No hesitation in recommending this wonderful place to all lovers of a peaceful Andalucía." "We have just returned from a most restful break in Casa Limones which is situated in a peaceful spot overlooking the mountains and coastline. The cottage was very clean and we had the pool to ourselves to enjoy refreshing swims during the hot weather. Restaurants and places of interest are close by – this is an ideal location with plenty of options for eating and sightseeing. Maureen is very friendly and helpful and provides a warm welcome for her guests, her welcome pack was much appreciated and most thoughtful. I deﬁnitely recommend Casa Limones for a relaxing vacation." We had the most wonderful stay here in this beautiful place, and Maureen was such a wonderful and friendly host! On arrival we were greeted by Maureen, who showed us to our cottage (Los Olivos), which had everything we needed for our stay. She made us feel very welcome and even made us a lovely welcome hamper, the perfect thing to arrive to after our journey, so we didn't have to rush to the supermarket straight away. The guest book inside the cottage had many recommendations for places to eat and visit nearby, and helpfully listed everything from the nearest supermarket to local shopping and pharmacy etc. This is the perfect place to visit if you want to relax by the pool and take in the stunning views with a glass of wine and a good book. We enjoyed many a lovely evening cooking on the BBQ and dining outside in the company of Maureen's pets Oscar the cat and Bobby the dog, both lovely friendly animals and very well behaved. We hired a car so we could drive from the airport, which was an easy drive following Maureen's instructions. It was also helpful to have the car as this is a rural location, and we could drive easily to the supermarket, which wasn't far, and also to surrounding towns and beaches. 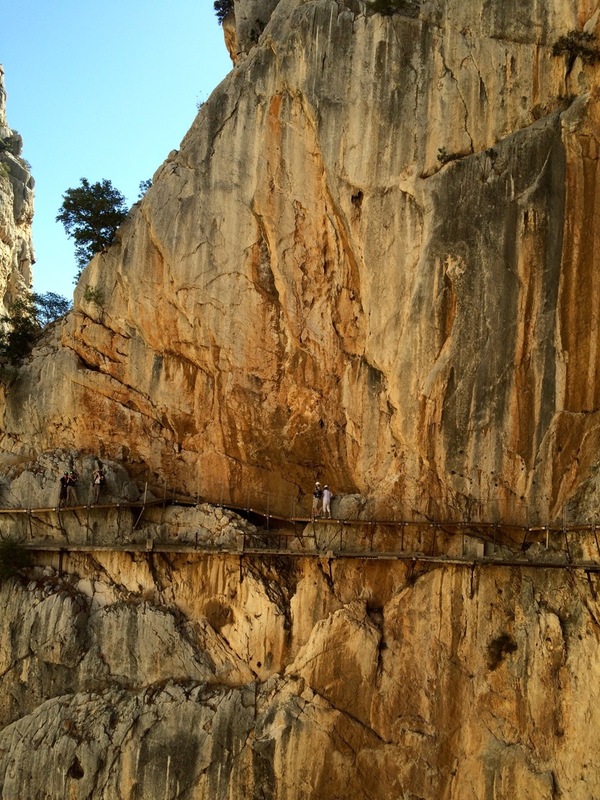 We enjoyed visiting the nearby town of Ronda, beaches, and El Torcal, a beautiful nature reserve with great walking trails, views, and a cafe at the end. This really was the perfect holiday and I thoroughly recommend to all! We will definitely be coming back soon! 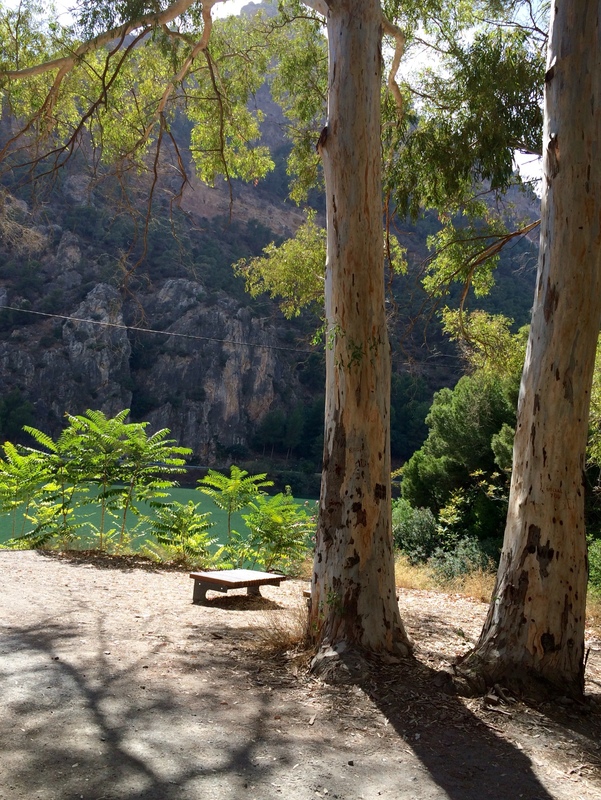 Perfect location for relaxing and getting away from everything, can't believe it's just over half an hour from Malaga airport. The view from the verandah at Los Olivos is simply stunning, hardly another villa in sight, and sunsets behind the mountains add a special magic. We watched several raptors circling in the sky and many swifts. The swimming pool across the (quiet) road has similarly great views and is perfect for a day's sunbathing. So many nice touches, from the welcome pack to neatly folded pool towels. Great location for days out too. 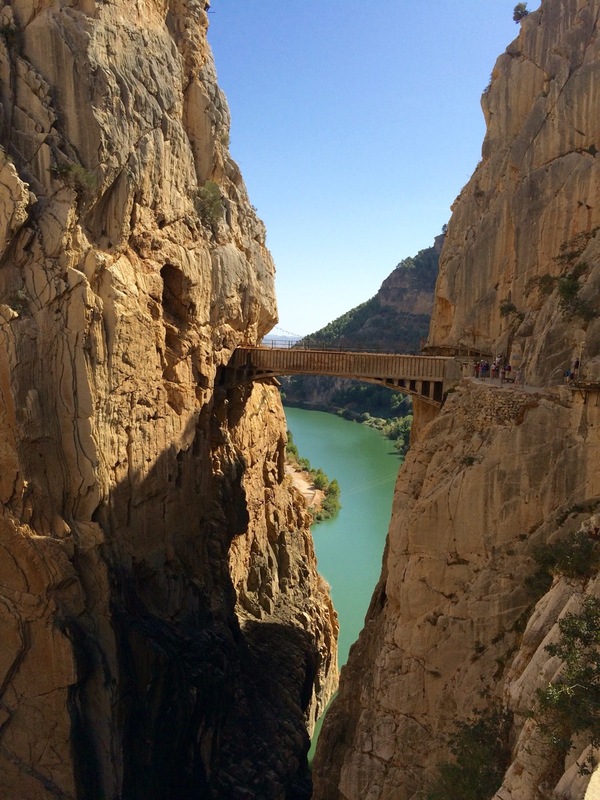 Ronda, Mijas and Alhambra were on our itinerary and easily reached in an hour or two. Shopping was a doddle in a nearby supermarket where the food was of a good quality. We ate very well. The helpful file of local attractions and services had the added benefit of removable pages to take with you, brilliant idea. Our host was very approachable and friendly, nothing was too much trouble, and patiently answered our questions during booking and before arrival. 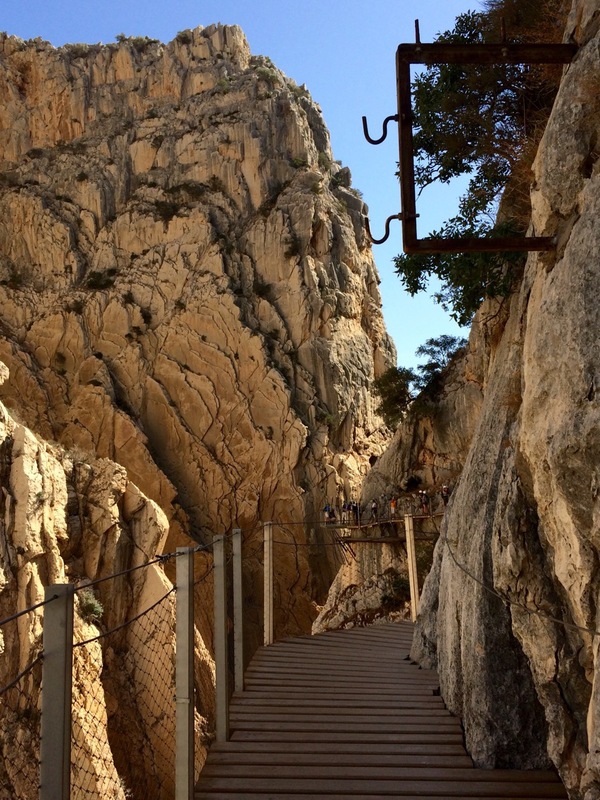 "The newly opened Caminito del Rey just over an hours drive away is a must! 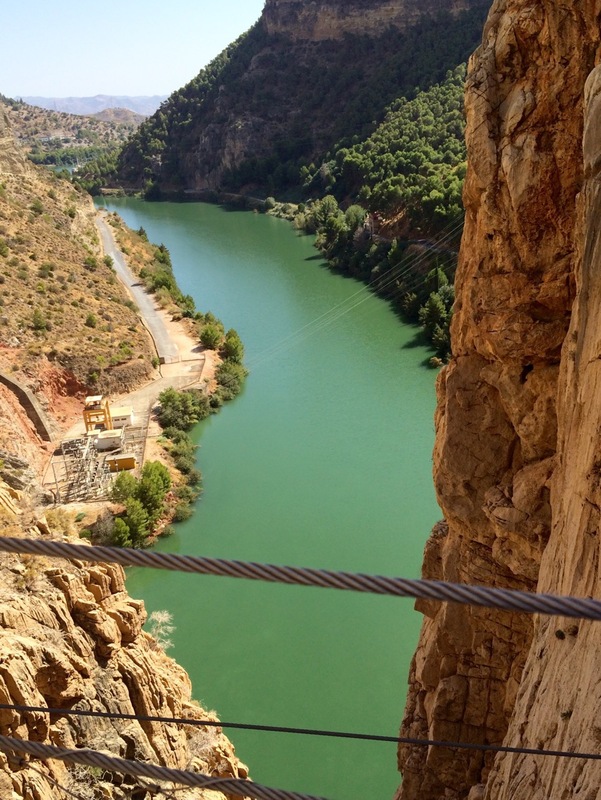 ….. this spectacular country walk and walkway along the El Chorro ravine can be pre-booked online."